The best climbing roses for a small arbor have vigorous canes and strong blooming habits. If the arbor is in partial shade there are many climbing roses that do well without full sun. The Rhode Island Rose Society recommends pruning only the deadwood on climbing roses for the first three years to allow them to establish themselves. Climbing roses can be trained easily in the structure of a small arbor by weaving the canes throughout its design. 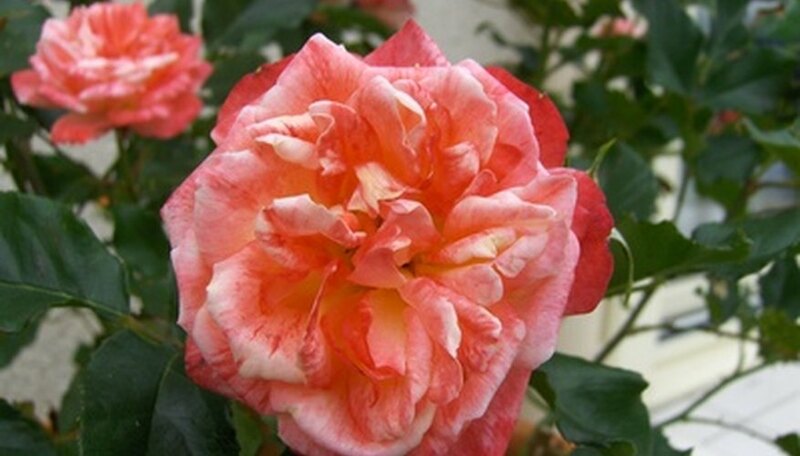 Also known as ‘Sweetheart Rose,’ the Cecile Brunner rose was first introduced in 1881. It grows to a height of 10 to 20 feet and is easily trained to a small arbor. The flowers are small, delicate and light pink in color. Its long, pointed buds and clusters of blooms make it a good choice for arbors or trellis growth. This rose is long lived, tolerates poor soil and partial shade. It blooms from late spring to fall, with a mid-spring bloom in frost-free areas. This red rose grows on vigorous canes that will easily cover a small arbor in one growing season. It grows to a height of 8 to 15 feet with deep red flowers and deep green foliage. The fragrance is strong from the double ruffled flowers. It is a repeat bloomer, which means flowers bloom all summer season from spring to fall. The Don Juan rose blooms on both old and new wood and grows best in full sun. 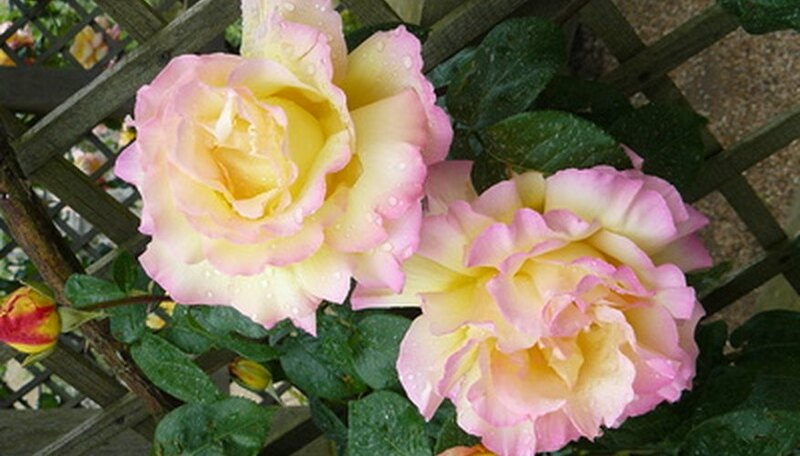 ‘Calypso’ is also a well-known name for this rose, which is distinguished by its cream-and-pink variegated petals. The flowers are ruffled and have up to 30 petals per bloom. There is a sweet, fruity fragrance to this vigorous climbing rose that can reach 15 feet in height. The long, branching canes have few thorns, which makes it easier to train to a small arbor. It grows best in mild climates. Climbing roses are not pruned for the first two years as the long branches develop their structure. Small arbors also do well with a shorter climbing rose variety such as Dublin Bay, which grows to a height of 7 to 10 feet. It has a small, bright red semi-double bloom that is a repeat bloomer all season long. The leaves are glossy mid-green, and it has a moderate fragrance. This climber needs full sun but tolerates poor soil. The North Carolina University Extension report on climbing roses describes Dublin Bay as having good disease resistance. Choose this rose for its yellow blossoms and light, sweet fragrance. It grows to a height of 6 to 10 feet and is well suited to small arbors. The branches are relatively thorn-less, and it tolerates partial shade. This rose is easy to train because its branches are more flexible than many roses. The flowers bloom in clusters of double-petaled blossoms of golden yellow fading to light cream.